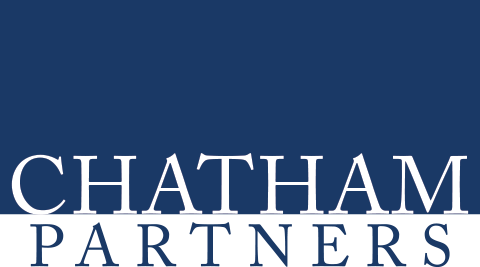 Chatham Partners seeks individuals who are smart, collaborative and flexible. We offer significant responsibility to new staff position hires and work hard to provide continued growth and development opportunities. Interested in becoming part of the team? Please submit your resume using the form on the Contact Us page. Associate Vice Presidents have direct management responsibility for the overall design, development, collection, analysis, and interpretation of large scale, complex client research studies and surveys. They work closely with Chatham Partners’ senior management and clients to determine research needs, and have day-to-day client management responsibilities. Associate Vice Presidents develop and nurture relationships with clients to ensure renewals and product expansion with existing clients, and provide leads to the sales team for cross-sell opportunities. This position requires 4 to 6 years related market research and client experience. Senior Analysts manage all aspects of data collection and data management for assigned research studies and are accountable for successful project execution. This position requires collaboration with team members and Chatham’s senior management to ensure that the project objectives are understood by the team and are successfully delivered. Senior Analysts must demonstrate a strong ability to build client relationships and simultaneously manage multiple project tasks. Senior Analysts may also manage other Analysts and coordinate resource assignments across their teams. Analysts are responsible for various aspects of projects including developing questionnaires, field work monitoring and coding, processing data, checking for logic and data inconsistencies, and preparing reports for clients. This position requires considerable computer skills and organizational competence to coordinate project execution, provide timely updates, and coordinate communication with project teams, senior management and clients. Executive Interviewers engage senior-level executives in detailed conversations about their perceptions of financial services providers by leveraging their extensive experience in the industry, strong educational backgrounds, and exhaustive project-by-project training. Previous experience in the financial services industry and a post-graduate degree are highly desired.